If you’ve ever had an acne breakout or if you struggle with breakouts almost daily, you’ve likely wondered if the foods you eat are playing a role. Without question, eating the healthiest diet possible is great for your skin (and the rest of you), but are certain “bad” foods really the cause of your acne? Here’s what science says about some of the most commonly called out food groups accused of triggering acne. Can Food Make You Break Out? Fried, greasy foods are often blamed for blemishes. But, contrary to this decades-old belief, eating greasy food doesn’t influence how your skin produces oil or how much. Excess fatty acids don’t flow out through your pores; they’re either stored elsewhere in the body or naturally excreted. Another common belief is that chocolate can lead to breakouts. While chocolate itself might not be the cause, some of its components might have a hand in spurring an acne episode. This means you may have to control your chocolate indulgence for a while to see if doing so leads to clear skin. There’s a growing amount of research suggesting that high consumption of dairy products (including milk chocolate, but not dark chocolate) does have an impact on the severity and frequency of acne breakouts. Most studies point to a connection with the naturally occurring substances in milk (even organic milk), which can influence acne triggers in the body. If you think dairy is making your acne worse, the solution is simple: Reduce the frequency of use or eliminate dairy entirely, and see how your skin is doing after four to six weeks. You might see a noticeable difference, or you may notice no change at all, in which case you can start eating dairy products again. Research has also shown that people who eat a diet with a high glycemic load (that is, foods high in sugar or simple carbohydrates that cause rapid spikes and drops in blood sugar) seem to develop acne in greater ratios than people who consume a diet with a low glycemic load. The theory is that the sharp, sudden increase in blood sugar causes body-wide flare-ups that can lead to acne breakouts. While scientists say the connection between high glycemic foods and acne hasn’t been proven yet to be as strong as the link between dairy and acne, it’s still worth experimenting to see if switching out these foods could clear up your skin. Even if it doesn’t, there’s no question that reducing your intake of sugar and simple carbohydrates is a healthy move that will pay off now and later! Are There Any Anti-Acne Foods? In addition to finding out which foods might lead to acne, researchers have also tried to determine if there are any dietary changes that could improve skin. Anecdotal reports have tied clearer skin to oral consumption of omega fatty acids, antioxidants, and trace minerals, just to name a few. 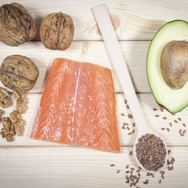 Although no firm connection has been established between consuming foods containing these ingredients and a significant improvement in breakouts, eating the healthiest diet you can is the best you can do for your overall health. Regardless of your diet, you should also use a gentle, yet effective, anti-acne skincare routine. Together with what you do (or don’t) put on the inside, these topical products can go a long way toward helping you get the clear skin you’ve always wanted.